Do you have an idea book? You know, a binder where you store all of the great ideas you see in magazines? Kinda like retro Pinterest. Here's ONE of my idea books. Food & Wine did a feature on dessert tables by Amy Atlas waaaaaaay back in 2009. I had never seen anything so pretty in my whole life. 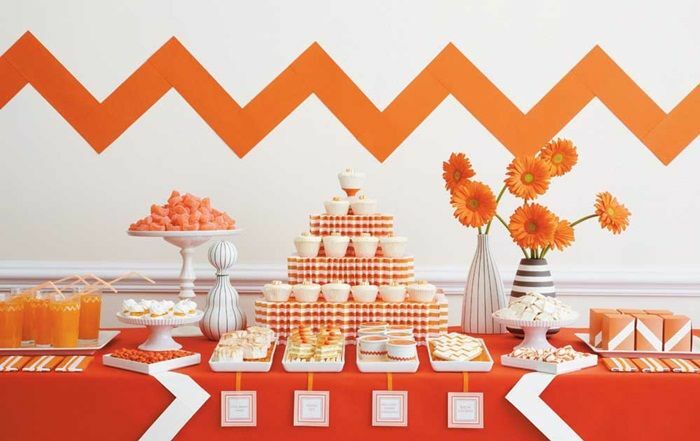 A color-coordinated dessert table?!? It went immediately into my idea book. 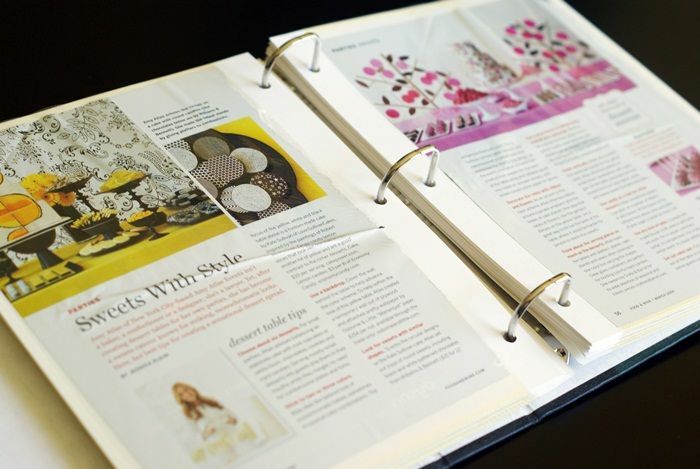 Well, it's 2012 now...and Amy Atlas, queen of gorgeous dessert tables, has a beautiful new book called Sweet Designs. 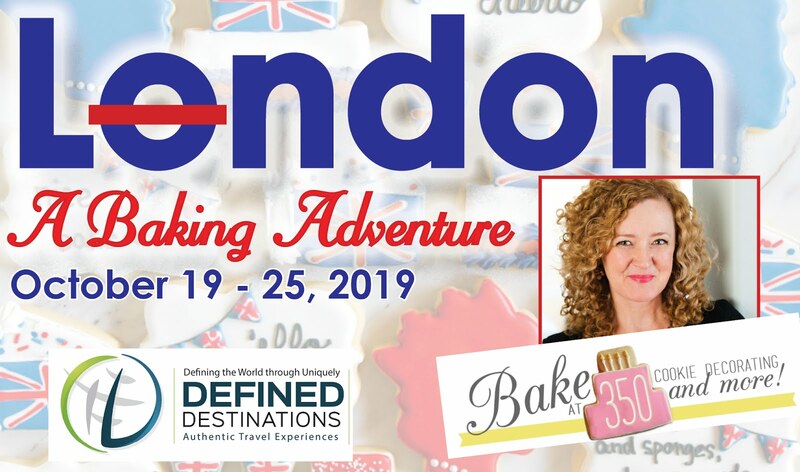 In Sweet Designs, you'll find all of the instructions for baking the desserts (plus short-cut options), crafting the displays, and styling the table. It makes you want to have a party. Amanda from i am baker gathered several of us together celebrate and to make one of Amy's recipes...I made the Chocolate Hazelnut Truffles. In the book, they are actually part of a Halloween table, but the beauty of the ideas is that they are so easily adaptable. I made them for spring. Preheat oven to 350. 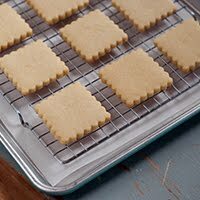 Lay hazelnuts in a single layer on a cookie sheet and bake for 15-18 minutes. Transfer immediately to a dish towel, cover and steam for 1 minute. Rub vigorously with the towel to loosen the skins. Melt the chocolate chips in a bowl over a pan of barely simmering water. Remove from heat and stir in the butter and Nutella. Stir in the chopped hazelnuts. 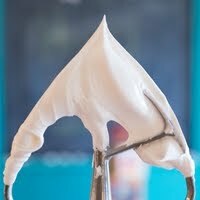 Refrigerate for 45 minutes to 1 hour, until scoopable. Place on a cookie sheet and chill for at least 30 minutes before serving. I've loved Amy Atlas for years-would love to win a copy! Those are so cute, I'd love to win the book. This book looks amazing and dangerous to have around...but I'll take it! 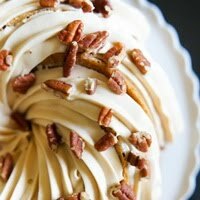 I'd love to win a book to help me self-cater the dessert bar at my wedding! Those truffles look so good! I'd love to win the book to throw some great parties for children. my comment is that i love to take YOUR ideas and adapt them to be gluten free! I would love to win a copy of her book!! I am NOT a good baker and need all the help I can get!! How exciting!! I'd love to win this book!! Wow, thanks for another giveaway... this book is right up my alley! The truffles look delicious and I would love to win a copy of this book. Gorgeous dessert tables! 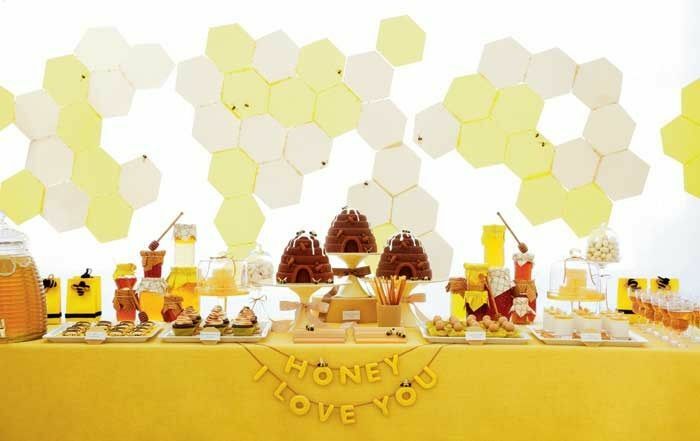 I just love the "oh honey" table! Does the book explain how to add the non-edible parts to the tables too? I can't wait to try these truffles, they look so good. WOW I am sure this would be a great help in helping to plan a festive event for my husband's 50th birthday coming up. chocolate + nutella...oh my! the book looks super cute! Amy's book looks amazing. I am good at baking but not so creative when it comes to putting it all together. I could really use this book!!! I love Amy Atlas, I'd love to win this book. Looks amazing! I'd love to win this book. Those are so pretty! I bet the book is awesome! i think i would eat that whole bowl of truffle mix!! Those are my favorite chocolate chips too :) This book looks great! The honey table is divine. I need an excuse to throw a party now! 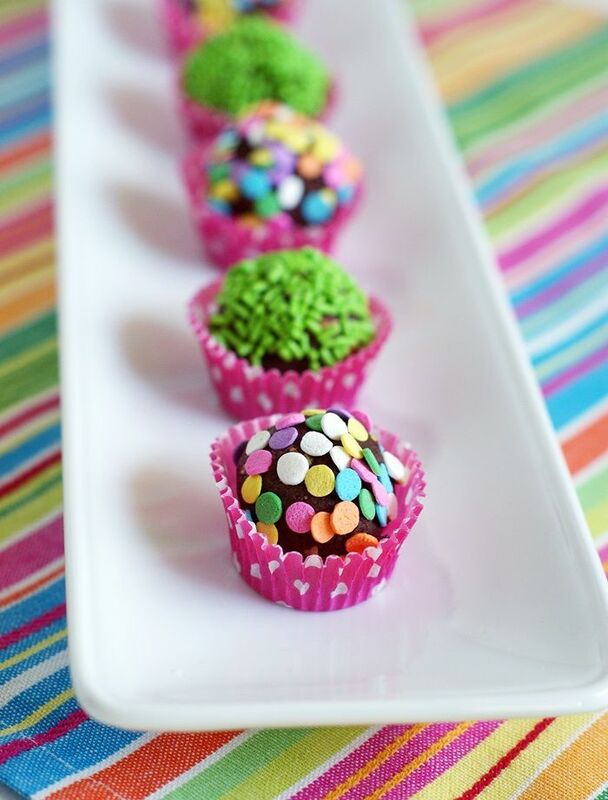 Those truffles look so good and are so versatile since you can decorate them to match any theme or color scheme! That book looks like so much fun, thank you. Awesome book. I'd love to win a copy!! This book looks incredible! I can't wait to have a party and use the book for some ideas! So glad to have found your blog.. and thank you for offering a give-away, she really has such beautiful table-scapes! 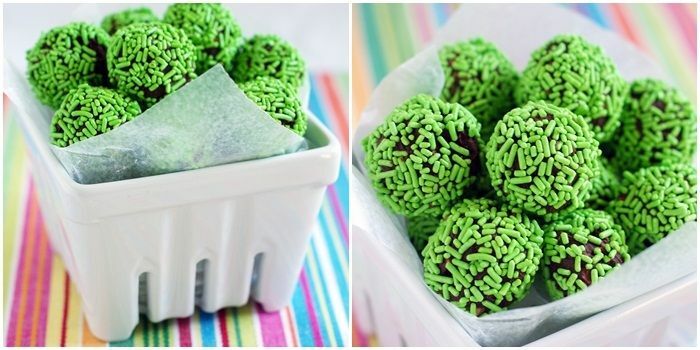 I am definitely making these truffles...TODAY!! Thanks for the inspiration! These look delicious - and SO easy! Great idea! Those sprinkles are so pretty! Wonderful!!! I especially like that bee/honey party spread. So cute! I'm not entering the giveaway just had to tell you how wonderful your truffles look. Saw your tweet that you were baking with chocolate (from the book) and couldn't wait to see what you came up with. I also love your ceramic fruit basket, wherever did you find that?! What a neat looking book! That looks like a bit too much bittersweet chocolate for me, but I know my husband would LOVE those! :) Thanks for the chance to win. The truffles are super cute! Love the sprinkles! Wow! Those tables are gorgeous! I would love a copy of her book! I'd love a copy! And those truffles look delicious! YUM. I have a jar of Nutella I have been holding out on opening. While the designs shown are probably too feminine looking for a gathering hosted by my boyfriend and me, they are VERY inspiring. Can't wait to make those truffles! Cute truffles! Thanks for the giveaway! 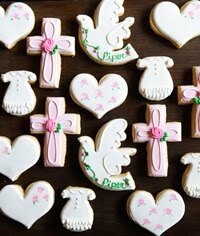 makes me swoon for pretty parties and pretty desserts! These look delish and so simple! I would love a copy of Amy's book! 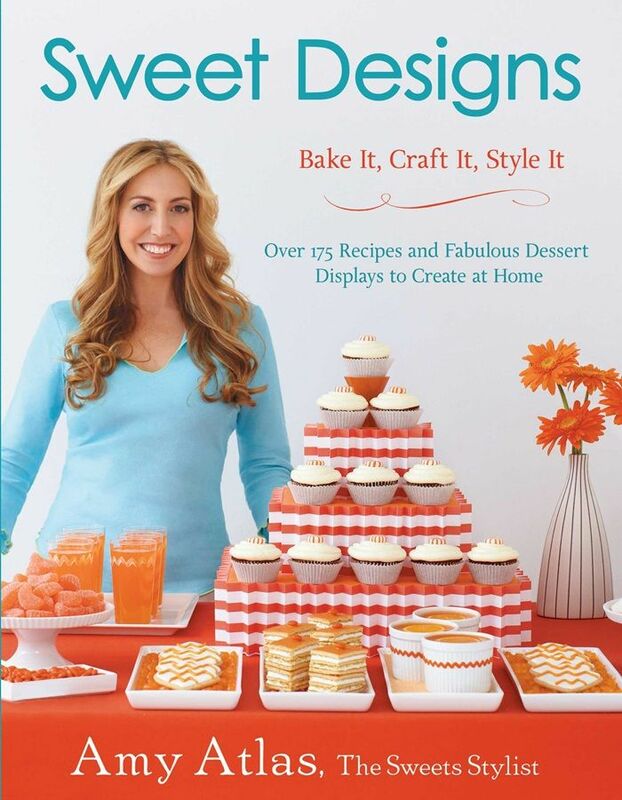 I would love a copy of Amy's book-that honey dessert table is incredible! And those truffles you made-mmmmm!!!! I will have to make these for my husband. He loves truffles! All the recipes look so accessible and good! I think I'd have to throw a party just about every week. ;D We're going to be having a new home party soon! Oh wow, I would love a copy! and that nutella... mmmmm! love your blog, and love the truffles! they are so fun! What an awesome book! Would it help me plan my 1920s themed birthday party this year? Her tables are amazing! I'd love to see more of her fun ideas! Can't wait for my book to come in the mail today!! I have a retro pinterest book too! Nothing better than a rainy day with a movie gluing in all the fabulous pictures I've clipped out and want to save forever! I ♥ truffles! These look delish! Looks so pretty & spring-like! YUMMO! Brilliant as always, Bridget! Um, is it weird that I just want to get a cup of coffee and look at all your idea books?!??? How much fun is that!!! This book by Amy is just what I'm missing from my collection. It would make party planning that much better! What an awesome looking book & awesome looking little truffles! The color coordinated tables are so cute! This book seems so amazing and I would love to win!!! I would love to win a copy of Amy's book. I haven't thought about truffles in the longest time...now seeing these pictures, I want some...and now! They look so delicious! The truffles look delicious and that book looks like a new home entertainer (like me!) necessity! I was laughing out loud about the comment about life before Pinterest. I had to do some self reflection and the result was cancelling my pinterest account. I have enough on-line addictions (like your blog) and I just can't keep on telling my kids "just a minute". :) So I am probably the only one I know who is sticking with the three ring binder approach. Love your blog, you inspire me to try new things. Thank you for that. 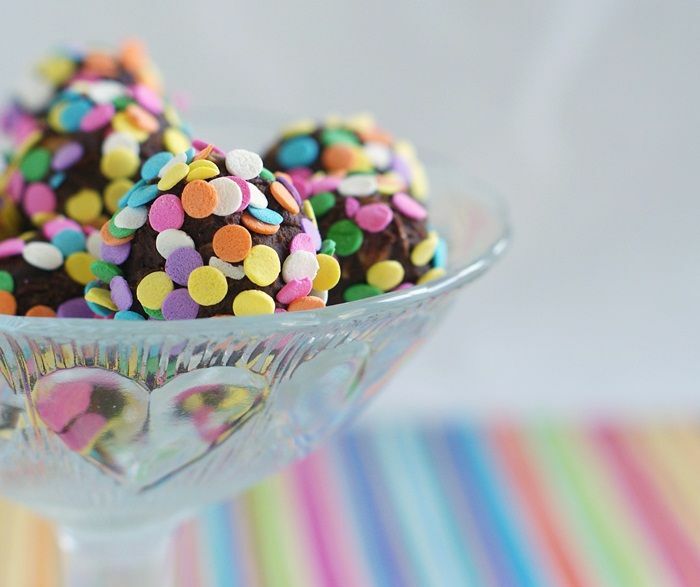 These truffles look so delicious! 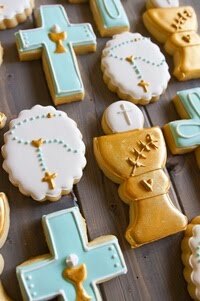 I have been trying to decide what to make this afternoon...these just might win! 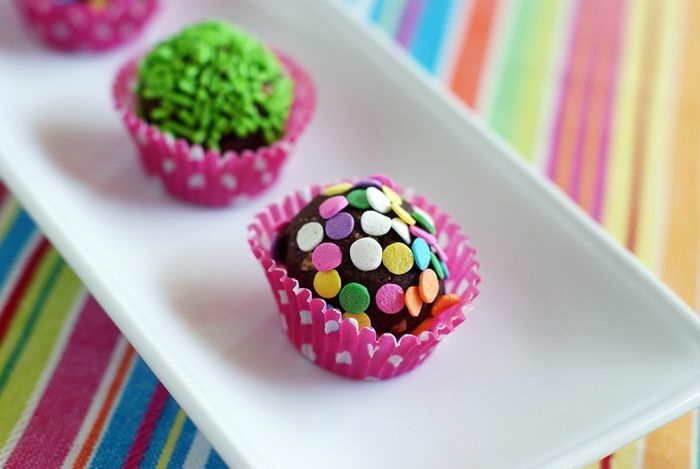 Love how to decorated the truffles. Too pretty to eat. This book looks fabulous!! I would love to win a copy! wow the book looks great and so do the Truffles! I'm a sucker for Nutella. Yummy looking truffles, and the book looks fantastic! I can't wait to try all her wonderful ideas! 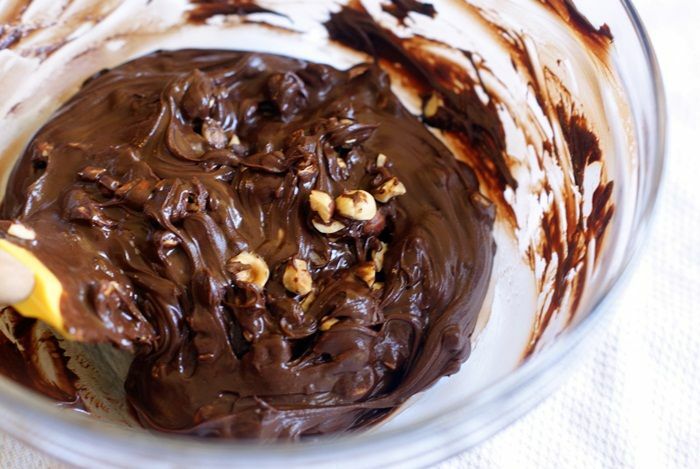 Chocolate and hazelnuts are so delicious together! I 100% used to have an idea book like that!! I would rip out all of my favorite fashion spreads from Vogue and In Style. They're still somewhere in my closets. These truffles look fantastic!! those truffles look great, I will be making a batch this weekend. Love to get my hands on this wonderful book. I still use an idea book...I know how ancient!! ohhh these are fancy!! They are so cute - - and the decoration options are endless!! I just LOVE Amy's book! These truffles are definitely on my must try list! I would love a copy of this book to help me plan a bridal shower for my best friend! 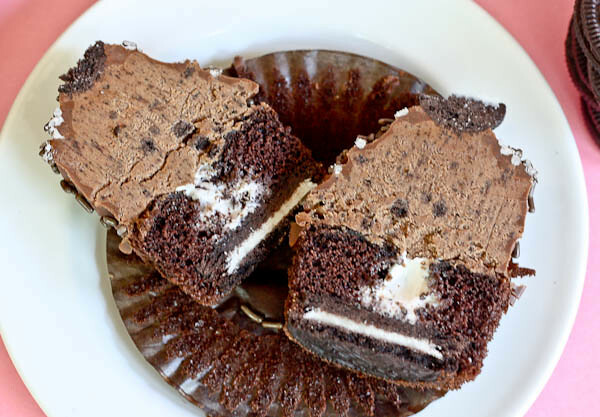 These are perfect for my nutella crazed friend's wedding shower! Looks like lots of fun! Your blog is inspiring! Your blog is the best! Seriously, when I first discovered it I went through all of your baking basics posts and inspired me to hunt down Atecco meringue powder and create my own! I am a huge fan of Amy Atlas. Her book looks amazing. Thanks for the chance to win a copy. I love the idea behind this book! What a great book, I would love to have it! Amy -- what creative ideas you have. Thanks for the book, now I can copy you. Unless you'd like to do a table for me? I love the truffles. So cute! Truffles make my life complete....so does your wonderful work! I would love a copy of the book too! Whoa, delicious! I would love a copy of her book! How cute are those?! I love recipes that can be easily adaptable for any occasion! Everything looks so pretty! Would love a copy of her book! Would love to have a copy of this book. Looks like so many great ideas! Would love to win the book for one of my soon-to-be-13-year-old daughters who would love everything about it! I have everything on hand to make the truffles, too. Can't wait to try them. I love your idea of chocolate chips in yogurt. That sounds like a delicious lunch! Those truffles look awesome! I would love the win this book. I know I could get a lot of cookie ideas! I love truffles--and I love Nutella, this is a no brainer! Looks delicious! Aww, looks so yummy! I love your idea book! I've never heard of one before. Thankfully, I have pinterest! Those truffles are so cute! I could easily see them at every holiday. The possibilities are endless. I would love to see what else is in the book and a chance to win the copy. Keep blogging great ideas. The book looks amazing and the truffles sound delicious! Thanks for hosting this giveaway! Thanks for inspiring us all! And thank you for your generosity! I would love to win this book. Enjoy your posts and I thank you for sharing other inspirational people with us. Would love to win her book!!! Just found your site. I will be back often! Love your blog! Thanks so much for holding the giveaway. i would love to win her book! looking at all she has created will be like a book version of pinterest! I love truffles and those look so yummy! Do you think I could take a short cut and just use pre-chopped hazel nuts? BTW I would love to win Amy's book! Love the chocolate chips and greek yogurt idea for lunch!! Those truffles look delicious! Thanks for the giveaway! Thanks to this giveaway I'm visiting a lot of great blogs today that I've never visited before. I keep saying I'm going to make truffles for the first time - these sound ideal. I kept an idea book when we decided to build our house and it served me well. I haven't kept one since, but I do have several blank journals - one is where I sketch or list ideas for beaded jewelry (although I haven't made any in awhile), one where I write recipes I created that turned out well and ideas for tweaks to said recipes, and I have a third where I document business ideas for that dream restaurant/bakery that's in my head. I love entertaining in my home and this book would give me great inspiration! Love the book! Thanks! There was nothing wrong with this idea "At this point, I contemplated grabbing a spoon and parking myself and the bowl in front of The Young & the Restless." Not only have I contemplated it, but I've done it, during a long marathon of Big Bang Theory! Love the truffles... I'd love to win a copy of her book. Looks fantastic! Book looks great! Thanks for the chance of winning it! Looks like Amy has some tasty recipes! Nuts and chocolate are so wonderful together and I love truffles so these look awesome. The way they're decorated makes them look like tons of fun! What fun! Your Truffles look beautiful as does everything on your site. Would love to win a copy of Amy's book. Those truffles are just darling! So excited about this giveaway! I need all the help i can get! I definitely need to add truffles to my things to try. I would love o win this book! How I would LOVE to win this book! This book looks awesome and I'm drooling over these truffles. Yummy! I really would LOVE to win this book!!! I am planning my first baby shower for my sister and it will also be my first niece/nephew (haven't found out yet!) so I would LOVE this book to help me make it a gorgeous day for her!! Those look amazing and the cookbook looks so fun! Yay! 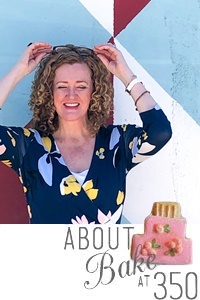 I love desserts and love throwing easy, creative parties! These look delicious, I love Nutella! 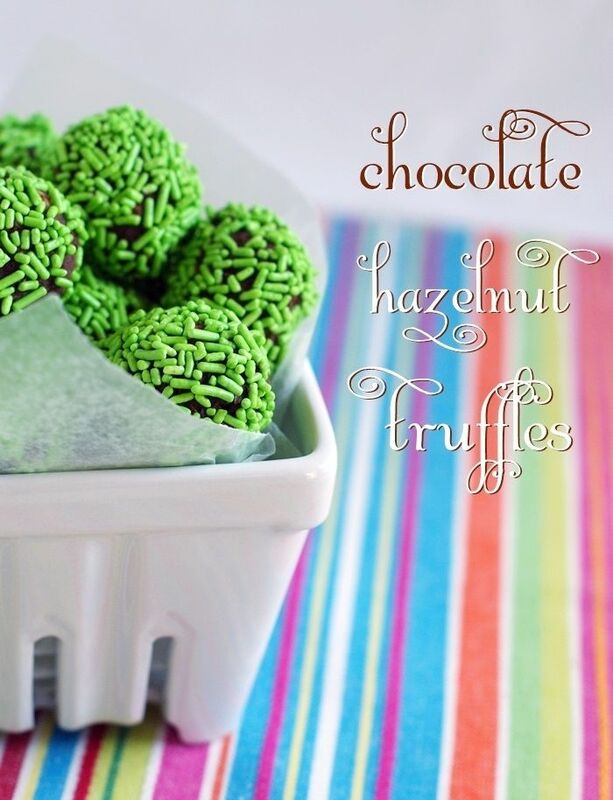 These truffles look divine and I would love to win this amazing book! These look gorgeous and delicious! Her styling is amazing, I'd so love to win this! The truffles sound delish, and i've been lusting after this book! Those truffles look simple and delicious! Awesome, another giveaway! :) Thanks so much! Amy Atlas is a true inspiration. Would love to win this book! Thanks for the giveaway, looks like an amazing book! This book looks like so much fun! I would love to win!! What a fun book! I would love to win a copy! I would love love love to get this book. I love having parties, but I always feel like something is messing. This would definitely help. Whoa! 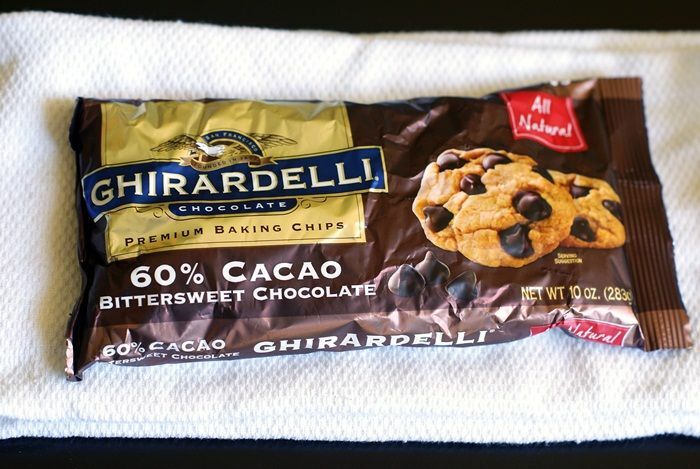 These just went on the top of my baking list. I am bookmarking them for a baby shower this summer as well! Amy is just the queen of the well-put-together table! Love that there's recipes too.. I love me some sugar! I really enjoy your blog, tons of inspiration!....and I would love the book! This looks like such a fun book, would love to win it!! Also the hazelnut truffles, yumm! wow. so exciting. I would love to win. I would love to win looks like a fun book!!! This book looks absolutely delightful! I'm hosting a baby shower and would love to see all the great dessert tables!